Working to end homelessness — that is the mission of the Project Home and Youngdahl supportive housing programs. Through these programs, South Central Human Relations Center provides a variety of services across a five-county area for people currently experiencing homelessness. Once Project Home engages homeless individuals, youth and families, our staff works with them for as long as it takes to return them to self-sufficiency. This includes providing assistance that ranges from outreach, to offering permanent supportive housing so that people with a mental illness can become stable and productive members of their communities. To learn more about the Project Home supportive housing program, please contact one of our staff members. For more information, you can also visit Hearth Connection. 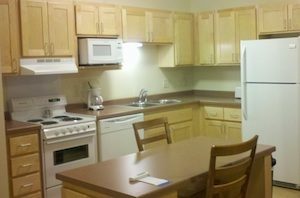 The new Youngdahl facility provides permanent housing to homeless individuals residing in Dodge, Steele or Waseca County, and the CREST Adult Mental Health Initiative Counties of Southeastern Minnesota (Steele, Dodge, Waseca, Mower, Olmsted, Houston, Fillmore, Winona, Wabasha or Goodhue). 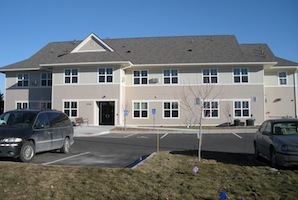 Youngdahl is a 16-unit building is designed to assist adults with a mental illness who are experiencing barriers to securing stable housing for themselves. Supportive Housing works with individuals that are long-term homeless with severe mental illness along with clients that are at risk of becoming homeless. An individual that meets the criteria for long term homeless; 1 year continuous or 4 separate occasions in the last 3 years. We also serve those that are at risk of becoming homeless. Has a severe mental illness that is verified by a mental health professional.